Watch students develop their creativity and expression through Kaplan's selection of magnetic dry erase panels, mirrors, and tabletop easels. 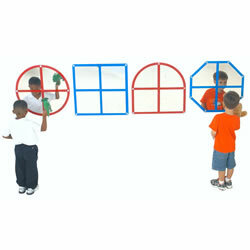 Also included are play mats, decorative wall stickers, and book displays. Enjoy hands-free, portable storytime on the floor, chair, table, or outdoors. Lightweight with movable flip-up extenders that support over-sized items. Expandable big book storage rack on back for additional book storage. Set up size 18"W x 15"H x 12"D. Storage size 18"W x 18"H x 2"D. Books sold separately. 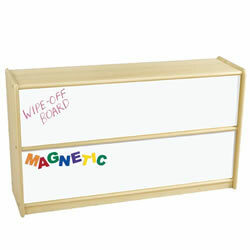 Magnetic dry erase panel fits any of our 24" or 30" Carolina Line storage units (sold separately). Magnetic board size corresponds with storage unit size. 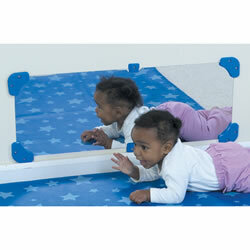 Place this economical mirror low on the wall so little ones can learn by watching themselves! 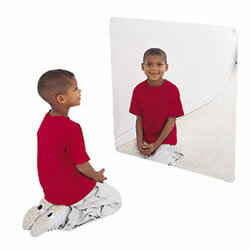 11" x 32" PET mirror will be a valuable addition to any room. 3 months. & up. Decorate the branches and truck of the tree with your favorite attachments. 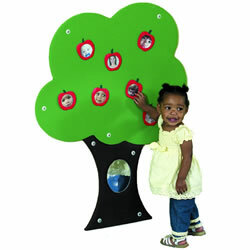 Children can look into the knot hole sewn-on-mirror in the trunk to play peek-a-boo. The tree must be attached to a wall, hardware is not included. 42"H x 34"W. Surface wash. 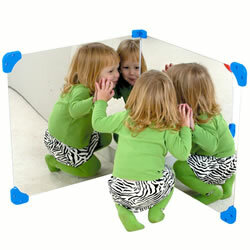 Encourage facial recognition and discovery with this wall-mounted acrylic baby mirror. Hardware is not included. Measures 16" x 12". Add depth to your classroom with inviting window mirrors. Unique color windowpanes are silk screened on the back surface so they cannot be scratched off by little fingers. Smooth laser cut edges highlight unique play possibilities. These shatter resistant acrylic mirrors enhance self-image, discovery, and visual perception and keep children mesmerized while promoting creative exploration. Hardware not included. Mirrors measure 22 1/2" x 22 1/2". Available separately and in a set of four. Special formulation 30" square shatter resistant acrylic mirror energizes curiosity, reinforces motor visual perception while enhancing self image and discovery. 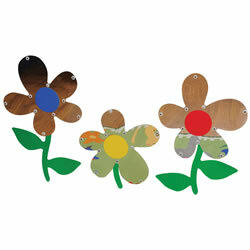 Watch the flowers bloom on the wall with these 3 mirrors. Each flower blossom mirror is 24" round with 15" high green steam. Hardware not included. The perfect combination of essential home visitation items that go everywhere with you! 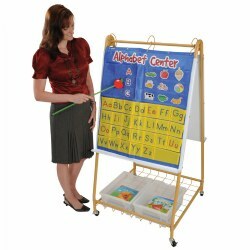 The collapsible easel stand has a 1" ledge, adjustable band and supports to hold papers and books. 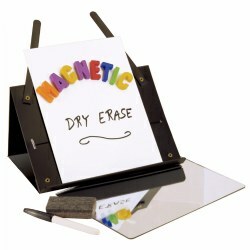 Includes a non-breakable 7" x 7" mirror, magnet board with dry-erase writing surface, a dry erase marker and felt eraser. All components fit inside the convenient clear-plastic travel bag with closure. Corner Mirror Pair 24" x 24"
Place our shatter resistant mirrors in any corner to enhance self-image, discovery, and visual perception. 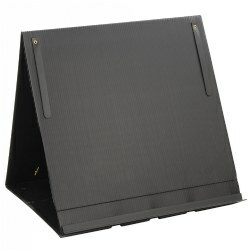 Attach with our injection molded polyethylene mirror corners and side safes. Simplifies installation and holds mirrors against flat surface. Hardware not included. 3 years & up. This unique, double-sided easel fits conveniently on a tabletop and folds compact for storage. 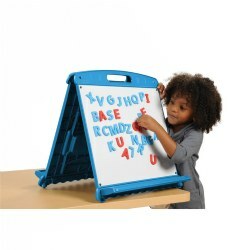 Includes two magnetic dry erase boards (one plain, one lined), a book/marker ledge on each side, built-in tray with three removable tubs, and a detachable pocket chart. Letters are sold separately. Measures 19"W x 19"H x 17"D.